Have you ever worn a happy piece of jewelry? 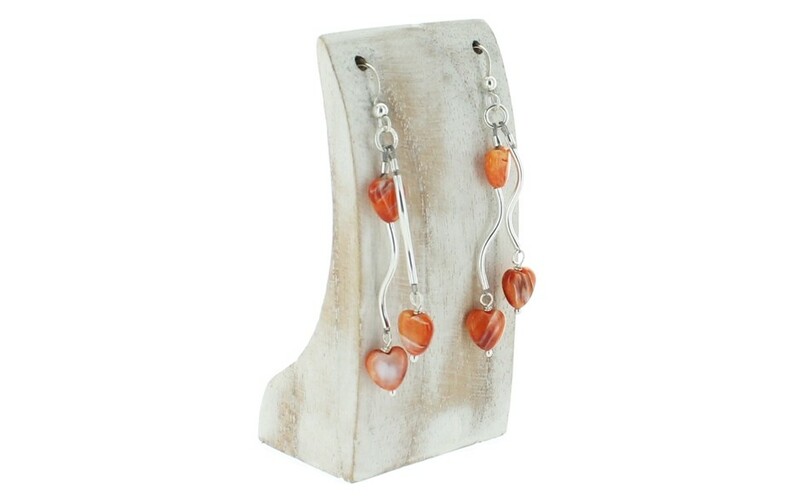 These earrings exude cheerfulness, not only with the orange, heart shape spiny oyster beads, but also with the swirled silver tube bead. 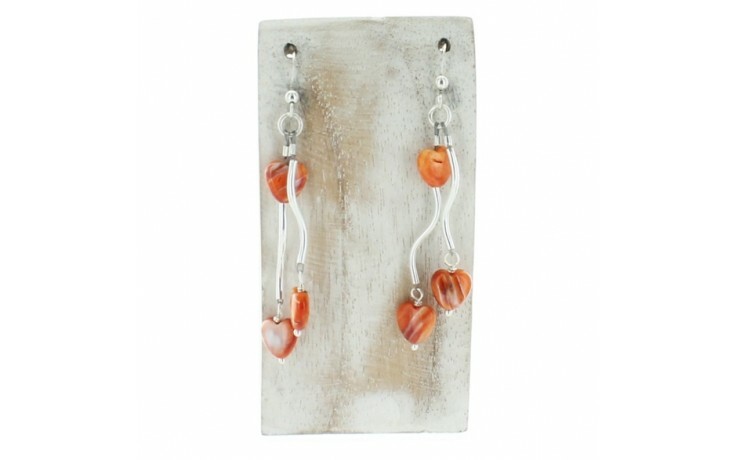 Here we have paired two dangles and then dropped them from a french ear wire. The earrings measure 2 1/2" long and the spiny oyster beads measure 8 x 9 mm. Wearing these you will be projecting smiles all day.